Foot pain is a very heavy burden to live with, and sometimes your feet need a little more care that a comfortable shoe with good arch support can accomplish. It is quite possible that your shoes played a role in exacerbating your foot and heel pain. One of the common conditions that we observe in patients today is a condition known as plantar fasciitis – a condition that occurs on the main supporting structure on the soles of the feet. Whenever there is an increased amount of tension and inflammation in this region, it may be in your favor to seek the opinion of a board certified foot and ankle surgeon to review your options with platelet rich plasma therapy. Fortunately, modern medical technology allows us to treat and repair chronic foot conditions, and this post will help you understand a little more about plantar fasciitis and how PRP therapy can help. Have high arches or flat feet. Platelet rich plasma therapy Los Angeles is an alternative treatment for injuries or medical conditions that would normally require surgery or extensive medical procedures. It can also e used as a subsequent treatment for chronic injuries that are unresponsive to surgical treatment. PRP therapy is a series of injections of platelet rich plasma that is comprised of the patient’s own blood. Therapy typically lasts about an hour at our outpatient facility, where Dr. Jamshidinia will remove about 2 or more ounces of blood, places it in the special centrifugal system to separate the platelets from the other blood cells and withdraw PRP cells for therapy. Once the PRP cells are purified, anesthesia may be applied to the bottom of the foot and then the injection is made in the area where the plantar fascia attaches to the heel. Great quality foot orthotics and proper shoe selection do not always reduce chronic symptoms of foot pain. Many foot doctors in the past have been able to treat chronic plantar fasciitis with cortisone injections or other non-invasive therapy but they are not as effective as PRP therapy has been in recent decades. According to a study presented to the American Academy of Orthopaedic Surgeons, the provider of musculoskeletal education to orthopedic surgeons reported that PRP therapy showed a great clinical response for plantar fasciitis pain. Traditional cortisone injections were not as sufficient post-operatively as patients reported that pain subsided, but rapidly increased in their follow-up appointments 6 months and 12 months respectively and with an average success score of 58 out of 100; when PRP therapy patients reported that pain was reduced and nearly eliminated at both 6 months and 12 months, with an average success score of 94 out of 100. PRP therapy is effective in the majority of patients in as little as 48 hours after injections are infused at the injured site. Pain relief increases over time and plantar fasciitis pain will subside within 6 months. If you are experiencing constant pain and inflammation in the soles of your feet then now may be the time to contact our foot and ankle surgeon and discuss your options for platelet rich plasma therapy. Reach our office at (310) 247-9255 and schedule a consultation today. Why is PRP Treatment So Effective for Damaged Joints and Tendons? The use of platelet rich plasma therapy is becoming a common treatment everywhere for athletes, Hollywood stars and amateurs alike. Its popularity is thanks to high profile athletes, which are leaving medical experts amazed by their ability to turn around so quickly to their high performance activity with ease. Additionally, one of the biggest benefits of PRP treatment is its ability to repair damaged tissue as opposed to masking the pain temporarily. Other injections, such as steroids and other performance enhancing drugs, only hide the pain for a short period and need to be used consistently in order to maintain effects. But, steroids do nothing to offer any repairs to damaged tissues or tendons. Today we will shed some light as to why that is and what the procedure is like. Why is PRP Treatment Effective? 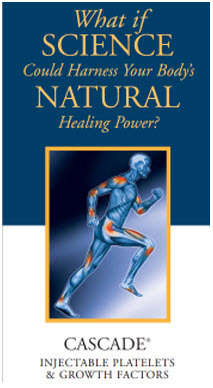 Tendons and joints suffer from overuse and cannot maintain optimum health without direct blood supply. When a body gets injured it relies on the nutrition from nearby blood cells to rejuvenate, but after injury, it is much more difficult to recover quickly because blood flow to these injured sites is moving slowly or away from where it is needed. Since muscles, tendons, joints and ligaments have no direct blood supply they cannot get the nutrition needed to recover quickly. With platelet-rich plasma therapy, a direct injection of blood nutrients is given to the torn tendon or joints, and the new plasma gives the injured location the nutrition boost it needs to make a rapid recovery, so instead of healing from a torn tendon in 8 weeks you can return to normal activity in four to six weeks. Platelet rich plasma therapy is a concentration of platelet cells taken from the injured patient’s blood and purified into three layers – plasma, white blood cells, and red blood cells – in a special centrifuge. Once the blood is centrifuged into platelets of plasma and healthy protein cells it is up to 10 times greater than usual for concentration growth at the injured site. The procedure generally does not go past an hour for the entire process, but your physician will determine the estimated time of the procedure during your consultation. Platelet rich plasma therapy is a safe procedure for injured patients of all ages and featured non-surgically for patients with minimal tears and fractures. According to the American Academy of Orthopedic Surgeons, PRP treatment is a method of treating chronic tendon injuries, ligaments, muscles, arthritis and even utilized in surgery to enhance healing tissue. Many physicians are turning to PRP therapy as opposed to invasive surgery, to help heal inflammation, pain, and swelling to get patients back to their normal physical activities. Platelet rich plasma therapy is an effective treatment because of its ability to enhance healing progress in less time required than invasive or conservative methods. If you are experiencing pain in tendons, joints and muscles then talk about PRP therapy with Dr. Jamshidinia and discover the best options available for you. Contact the Tower Foot and Ankle Surgery office in Los Angeles to schedule a consultation, and put your feet, in good hands.